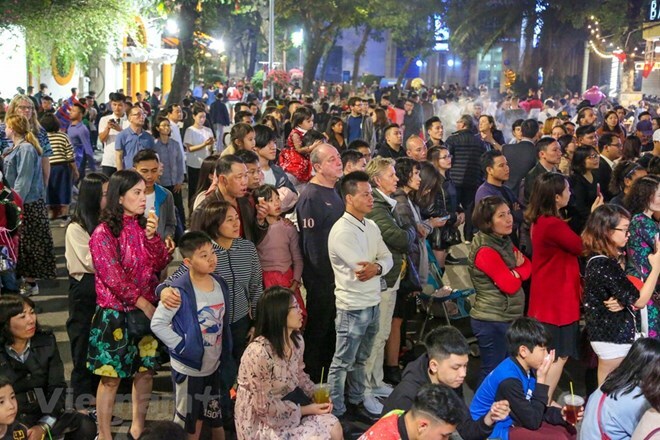 The capital city of Hanoi welcomed almost 515,000 tourists, including 162,676 foreigners, during the nine-day Tet (Lunar New Year) holiday, which lasted from February 2-10. According to the municipal Department of Tourism, the number is 10.3 percent higher than that of the same period last year. The foreign tourists to Hanoi mostly came from the Republic of Korea, China, Malaysia, the US, UK, France, and Germany. The city’s tourism sector reeled in over 2.03 trillion VND (87.37 million USD), up 33.3 percent year on year. Tourist attractions in the capital city during Tet included the Thang Long Imperial Citadel site and a spring calligraphy festival at Van Mieu (Temple of Literature) – Quoc Tu Giam (the first university in Vietnam). The total number of visitors to Hanoi hit 26.04 million last year, up 9.3 percent from 2017. Of the total, there were 5.74 million foreigners, a rise of 16 percent year-on-year. Tourism revenue was calculated to exceed 75.8 trillion VND (3.26 billion USD), an annual increase of 11.7 percent. The city aims to greet nearly 28.6 million tourists in 2019, including 6.7 million foreigners.